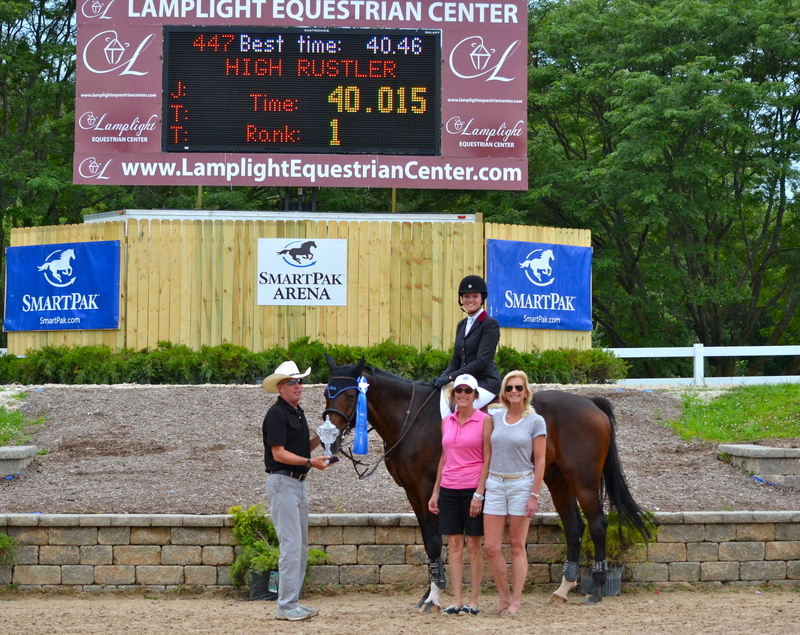 Emma Sargent and No Fear won the $7,500 Cavalor Show Jumping Hall of Fame High Junior/Amateur Owner Classic at Equifest I.
Wayne, IL-July 26, 2015- Week one of the two-week Equifest series at Lamplight Equestrian Center in Wayne, IL, concluded with the $7,500 Cavalor Show Jumping Hall of Fame High Junior/Amateur Owner Classic. Ten riders rode for the check with only four qualifying for the jump-off. 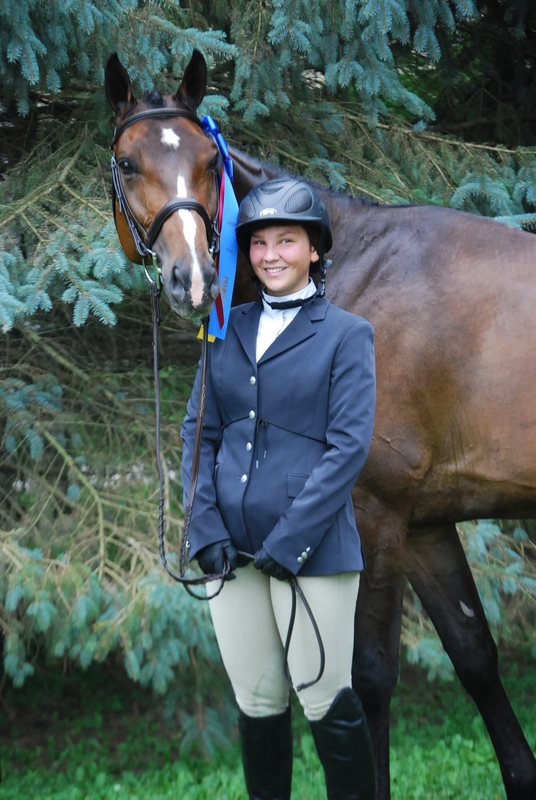 Emma Sargent of Kenilworth, IL, aboard No Fear, took the blue ribbon with a time of 39. 451, jumping clean in both rounds. No Fear, affectionately known as Felix, is a relatively new ride for Sargent, who only started with the horse this past spring. Her partner was a somewhat accidental match for Sargent, whose trainer Donald Cheska bought him for someone else. Sargent got the ride instead and has had success with the gelding since. Earning a second place finish in the High Jr/AO jumpers earlier in the week, Sargent elected to rest her horse to save him for today. “I was a little conservative the first day I showed him but I felt I could really open him up today and it paid off,” joked Sargent. Strategy was also at work for Sargent, who admitted having a little time between rounds certainly helped accomplish the win. Sargent was one of two rounds to go clear, beating second place finisher Reid Patton aboard Twister, who had a close time of 40.082 seconds. “It was definately good to have some time in between rounds. It gave him a little bit of a break, it was also the perfect course for him, and really allowed me to let him go,” said Sargent. In third was Caelinn Leahy aboard Esquilino Bay followed by Lynsey Whitacre aboard Barillo W. Michal Burnett took the fifth spot aboard Iron and sixth went to Reid Patton aboard Zoe Velvet. In the $1,500 Low Jr/AO Jumper Classic Caelinn Leahy of Maple Park, IL had the win aboard Kaner 88. The two set the pace with 26.643 on the clock beating second place finisher Molly Struve aboard Orchidee Milody, who had a time of 26.972. “He’s really awesome! He’s kind of a little pocket rocket. He really loves what he does,” said Leahy of her mount who is owned by Leahy’s coach, Steve Schaefer of Bellis Show Jumping. Leahy got to watch Struve since she went just after her in the order and admitted it helped to see what Struve did. “She was the round before me,” said Leahy. “Her track was kind of the same as ours and I knew Kaner had a lot of foot speed so if I executed my strides, he would have enough to do it faster than Molly (Struve)." Leahy has progressed quickly in Schaefer’s program, now working on moving into the High Junior Jumpers. Schaefer’s a believer in getting riders out of the ring and into the field as much as possible to teach both horses and riders better balance, which leads to a better jump. Schaefer practices what he preaches and is a contender in the Grand Prix ring himself, recently winning the Tapestry Farm Grand Prix at Ledges Sporting Horses in Roscoe, IL, two weeks ago. In the $1,500 Child/Adult Jumper Classic, Celia Bresch aboard Emily Scarnechia's One Direction was the first in the ring and set the pace to beat at 37.084 with a double clear effort. On the Adult card, it was Kelsey Concklin aboard Ellie Morris’s High Rustler with the win. Concklin laid down a double clear ride with a speedy 40.015 seconds on the clock. 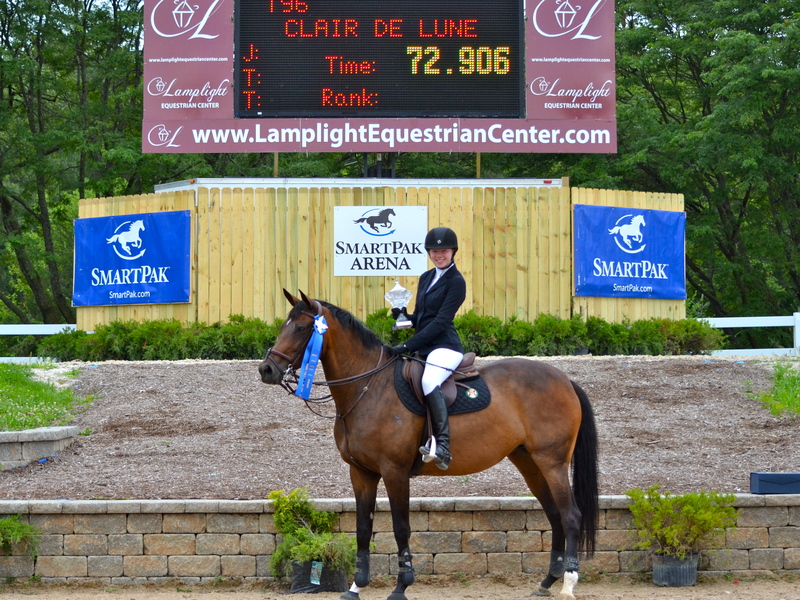 In the $500 Low Child/Adult Jumper Classic, Ailsa Bentley had the win aboard Clair De Lune for the Children’s card. Bentley was the last to ride the track and claimed the victory with a time of 44.045. 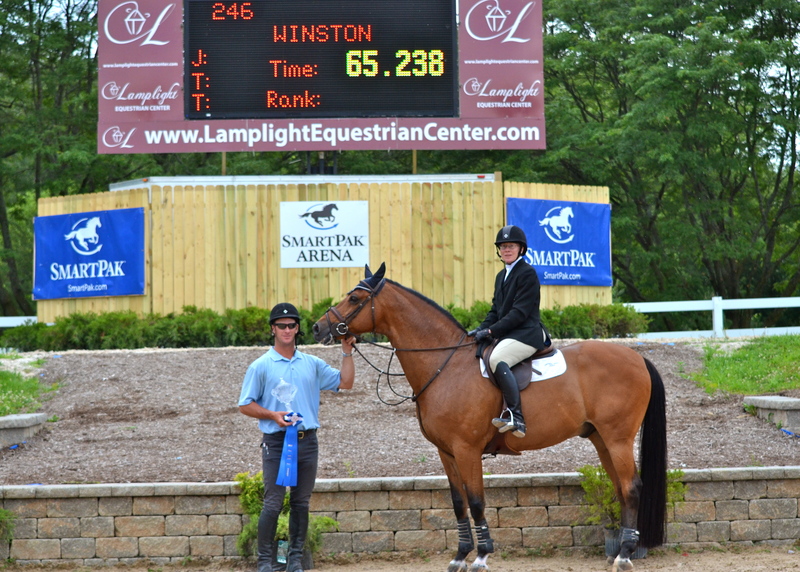 On the Adult card, Margaret Mac Harg earned the top spot aboard Winston with a double clear effort in 39.702 seconds. Darby Dyar had the win in the $1,000 Modified Jr/AO Classic aboard Julio, owned by Richard Rinehart, with a time of 28.053 and a clear jump off round. 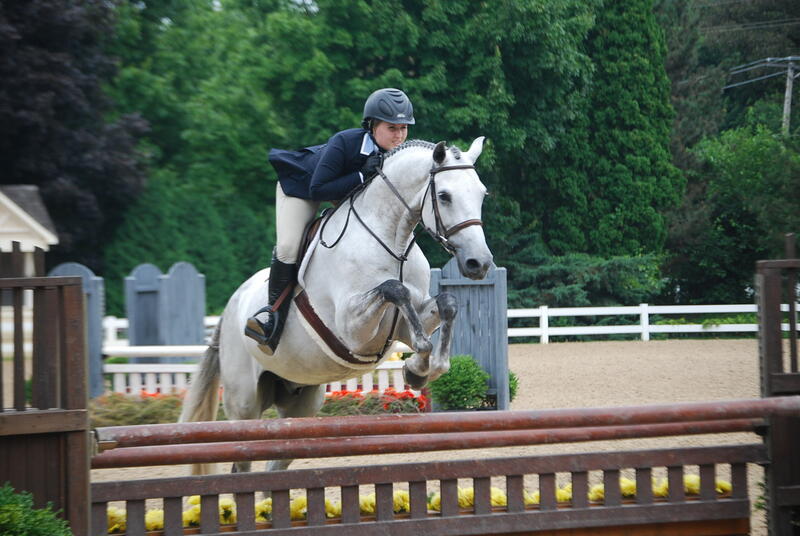 Hunter action wrapped up today for junior and amateur riders as well as the pony hunters for Equifest I. It was Lindsey Black of Houston, TX, with her mount Balenciaga, named after the high heel brand and European fashion line, who took home the Championship in the Adult Hunters 35 and over. Though Black is here solo, she is usually trained by Sherre Sims, with extra assistance by Peter Pletcher when she spends time in Houston. Black has had the five-year-old mare since she was a two-year old and the pair is new to the 3’ as of this year. This was Blacks’s first time to Lamplight and she was very pleased with her experience and is excited to come back again. Taking home reserve honors in the Adult Hunters 35 and over, were Rating Agency and Liz Kline of North Aurora, IL. The Champion in the Adult Hunters 18-35 was Zilver Star and Colby Hassfurther. The two were recently partnered in the past few weeks and this was their second time in the show ring together. Colby trains with Connie Stevens, who had Zilver Star in as a sale horse. 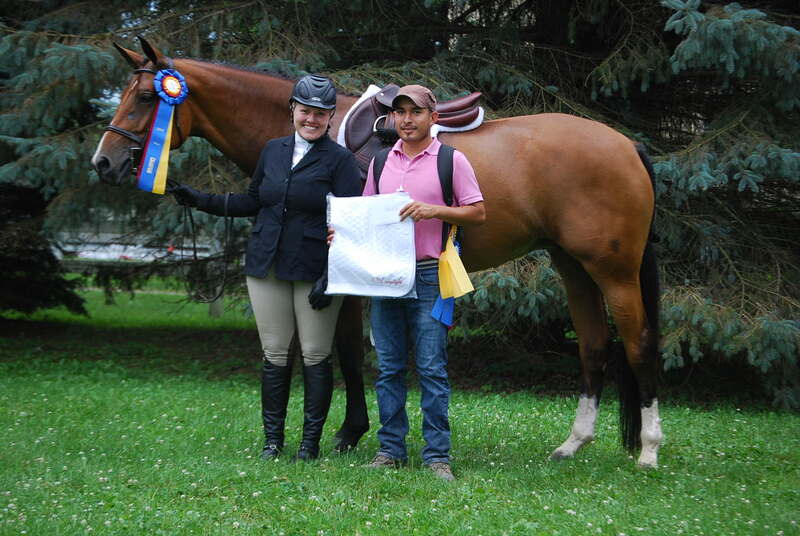 The pair placed either first or second all weekend, taking top honors in three of the five classes including the hack. Just behind them was Asiago with Caroline Foster in the irons for Miki Debb. Taking top honors in the Pony Hunter division was the medium pony “Glenhaven Pick Me” and her rider Lily Rupinski. The pair topped six other ponies in order to take the championship prize this weekend. They were also first in the $500 Pony Hunter Classic and consistently in the top of their classes this weekend. 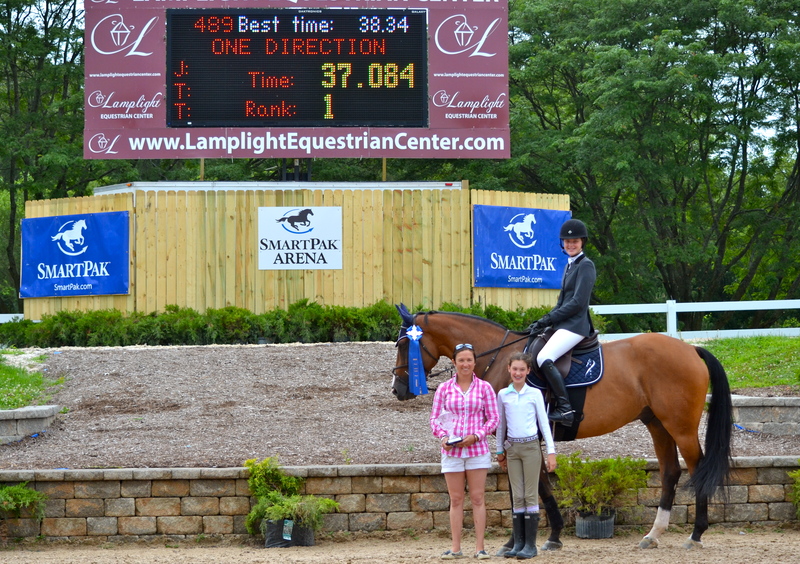 Earning the Reserve Championship in the pony hunters was Apricity and Vivian Wiggins, Bloomfield Hills, MI. 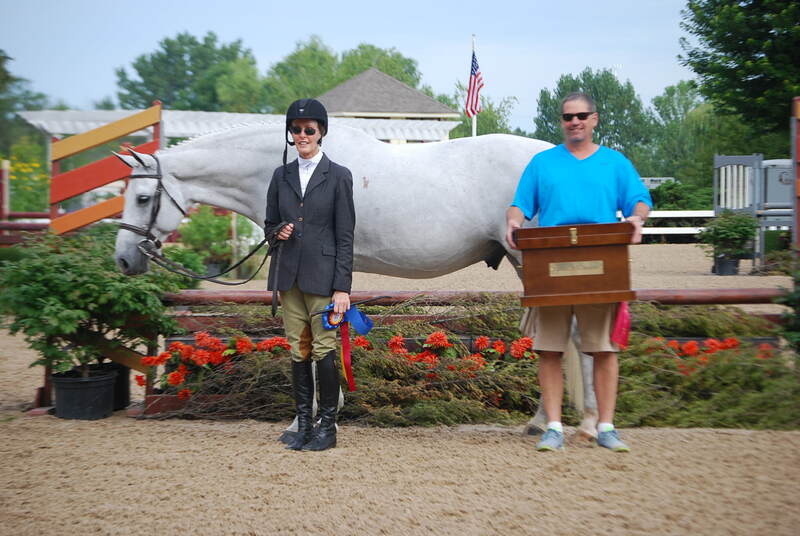 Kelsey Thatcher, Bluffdale, UT, continued her winning streak from Saturday in order to take home the tricolor in the Amateur Owner Hunters on Pony Lane Farm’s Bugsy Malone. Thatcher, who rides with Alex Jayne’s Our Day Farm, is no stranger to success in the show ring. 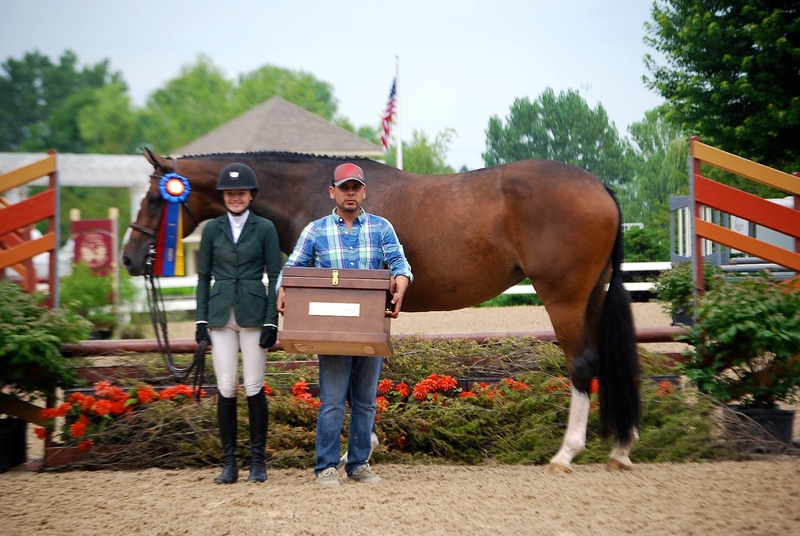 The amateur rider has won numerous championships on her hunters and her jumpers across the country at prestigious horse shows including the Winter Equestrian Festival. The pair proved unbeatable this weekend as they won all four of the over fences classes. In reserve behind Thatcher was MTM Passport and Therese Peck out of MTM Farms from Flower Mound, TX. Margaret O’Meara and Casino. Photo Lily Kubly. Margaret O’Meara and Casino came out on top of the 3’3” Amateur Owners after placing first and second in the two over fences classes today. The Reserve Champion in the 3’3” Amateur Owners went to Reid Patton, Nashville, TN, and her mount, Sincere, consistent with the results from Saturday. Gia Rinaldi and All Wrapped Up Photo Lily Kubly. Gia Rinaldi and All Wrapped Up also kept the streak going for Our Day Farm, taking home the tricolor in the 3’6” Junior Hunters. Rinaldi rides All Wrapped Up for Alex Jayne and is consistently in the ribbons along with trainer Maggie Jayne, who collects the championships in the Conformation Hunters. 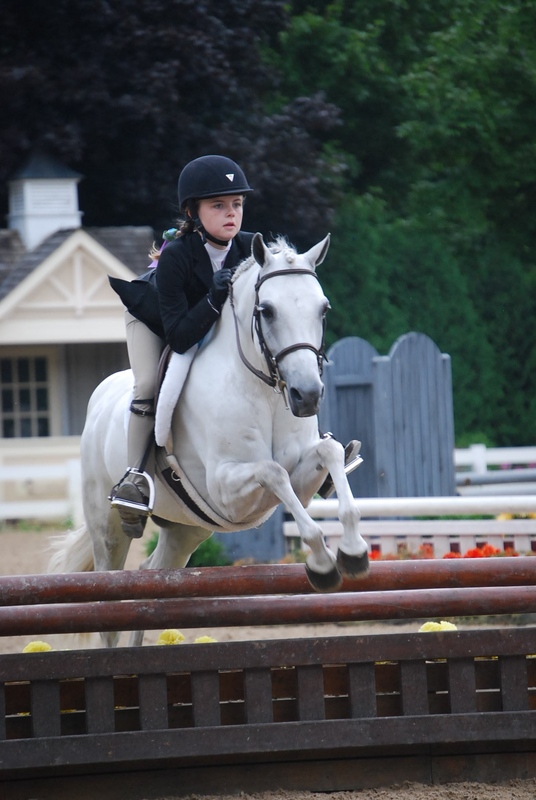 Rinaldi was riding in the Children’s jumpers when she started riding at Our Day Farm and in a short period of time, now competes in the Grand Prixs, equitation and junior hunters. Reserve Champion in the 3’6” Junior Hunters went to Stephanie Krause of Elgin, IL, and her mount Bravo. 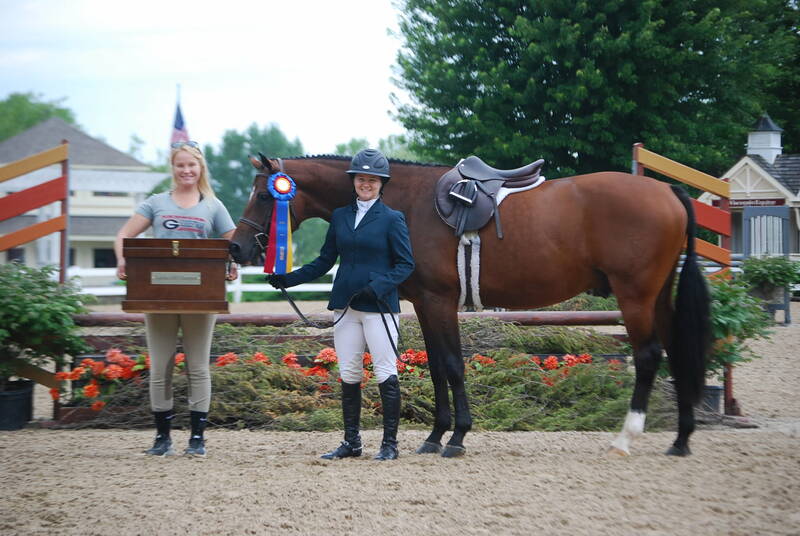 Alex Trolli from Clarence, NY and her mount Del Piero took home the championship prize in the 3’3” Junior Hunters. Trolli’s other mount, Hey Sailor, was a half of a point away from being reserve champion but Primera, owned by Helen Gilbert of St. Louis, MO, and Sydney Hott, were able to edge Hey Sailor out to take home the reserve ribbon. Hunter competition continues next week as Equifest II gets under way as a World Championship Hunter Rider Event. 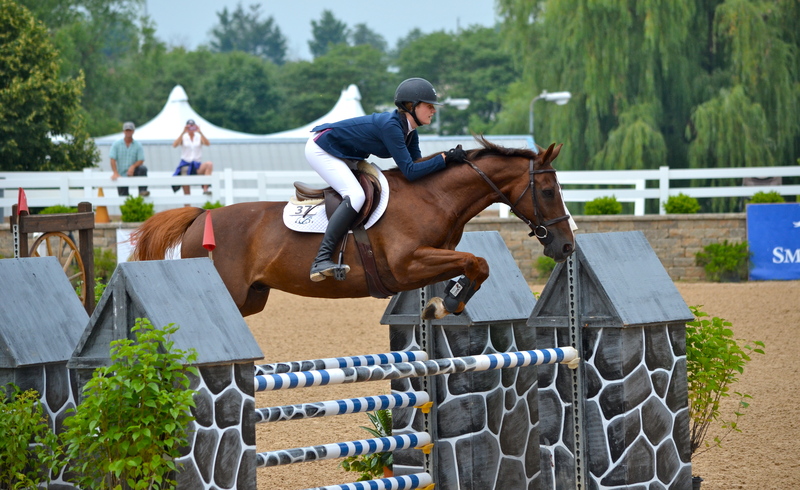 Equifest II runs July 28- August 2, 2015 and is a USEF Premier rated show offering a $25,000 USHJA International Hunter Derby and a $5,000 USHJA National Hunter Derby.